Spain has gone almost three years without a government with a parliamentary majority. First there was Rajoy´s provisional government, then Rajoy with only 134 seats and, since June the government of Sánchez with 84 deputies. During this period political conflict has not ceased but increased and the absence of a government without sufficient authority has been toxic. In this context, Sánchez has put together a budget, agreed with Podemos and which should end up securing the support of the PNV and the Catalan separatists, the key for his government activity. It is a risky course, but there is no alternative. But now the problem lies not in the defects of the budget, but in the risk that it may not be approved, which would be a message of instability. Indeed, the PP and Ciudadanos´ boycott of the reform of the current law of budgetary stability – which gives the PP, with an absolute majority in the Senate, the power of veto – has been joined by the decision of the Catalan separatists not to support the public accounts after the magistrates of the Supreme Court accused the defendants in the trial for the illegal referendum of 1 October 2017 of the crime of rebellion. The worst part is that there is nothing on the horizon that would guarantee more stability. Various polls suggest that in theoretical early elections PSOE would be the largest party, but would remain far from an absolute majority and that a pact with Podemos would not reach 175 seats either. On the other hand, a pact between the PP, which would decline, and Ciudadanos, which would rise, would also fail to reach an absolute majority, rendering a conservative alternative impossible. The only possible majority would be a pact between PSOE and Ciudadanos, which is in abeyance. To this already very complicated panorama must be added the contradictory attitudes of the Civil Chamber of the Supreme Court about who should pay mortgage stamp duty: whether the client, as up to now, or the bank as decided the second chamber of the Supreme Court on 18 October. This decision generated considerable economic concern, given that changing mortgage practices without clarifying is the decision has retroactive effect damages both the banks and the economy. But its cancellation by the full Supreme court on 6 November has caused great social anxiety. In much of the press it is seen as a decision which favours the banks (which have a guilty image following the crisis) and damages the clients. Thus the judicial power – always jealous of its independence – has created such a political and social mess that it has had to be the executive power – the government of Pedro Sánchez – which has intervened and tried to rescue its chestnuts from the fire announcing an immediate law decree. According to what Pedro Sánchez has announced, from now on it will be the banks who pay the stamp duty, but there will be no retroactive effect as in all fiscal rules. It is a decision of Solomon between the two positions of the Supreme Court which had serious inconveniences. After the first decision of the Court it was already politically impossible for the clients to continue paying the duty. But it would have torpedoed the credit system if this decision had retroactive effect over four years, which would have represented a loss of 5 billion euros for the regional tax offices, who would have tried to charge the banks. It would have been even worse if the courts had ended up deciding that the payment of this duty was an abusive clause, in which case the retroactive effect would be for fifteen years. It is difficult to believe that the Supreme Court has been incapable of arbitrating a solution acceptable for Spanish society and which would not be interpreted as dictated by the banks, the powerful ones. 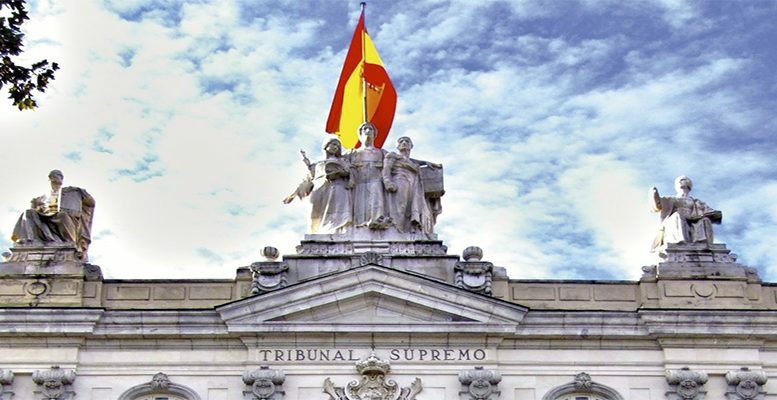 On the other hand, it is clear that the excess of ideology in some chambers of the Supreme Court – of Spanish nationalism in the Criminal Chamber and legalism in the Civil Chamber – is aggravating the great social and political confusion in post-crisis Spain. The Supreme Court emerges damaged in public opinion. The country, even more, because a Supreme Court suspected of partiality is no guarantee of the essential juridical security.